Two gaming franchises are getting new installments this November, Ubisoft Montreal's Assassin's Creed: Brotherhood, and Treyarch's Call of Duty: Black Ops and . Two recent interviews with these games' developers offer some good news and bad news for co-op gamers. I think eventually there will definitely be co-op in the brand. For Brotherhood we focused first and foremost on the validation for multiplayer. In campaign, co-op comes with a lot of challenge. At GDC the Saint's Row guys were like: 'if you want your game to have co-op - especially in a sandbox - you need to build it from the ground up.' They're right - it's a couple of years of turnaround to make sure co-op would work. So you can expect co-op in Assassin's Creed, it just may be a few years away. I'm just glad they're working in that direction. Baby steps, Ubisoft Montreal. ...the priority was telling a really, really great story and a great narrative....when you get to the end of the game you'll understand why it couldn't be told from multiple perspectives. It's meant to be experienced by one person at a time. It was more of a conscious decision...not a technical limitation. Hey buddy. This is a conscious decision, not a technical limitation. As disappointing as that is, there are some interesting rumblings about the co-op zombie mode. The devs keep mentioning the 'three pillars' of the game, which are the single player campaign, the multiplayer, and the zombie mode. If the co-op zombie mode is as robust as the single player campaign there might be some very good news for co-op gamers this November. They also mention a combat training mode, which is also co-op friendly. BREAKING: Fresh from Josh Olin's Twitter account regarding the new Theatre Mode: (I'll translate from Twitterese to English) Theatre mode is a multiplayer feature only. It will not work for the campaign or zombie mode. 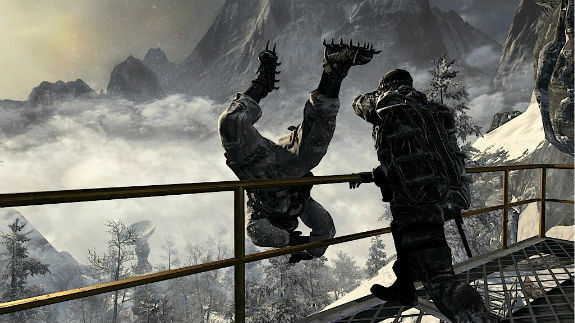 Call of Duty: Black Ops is available November 9th. 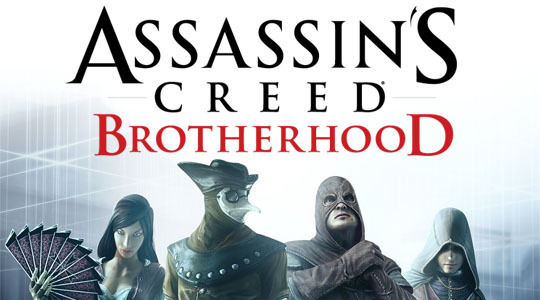 Assassin's Creed: Brotherhood comes out November 16th. Page created in 0.2907 seconds.